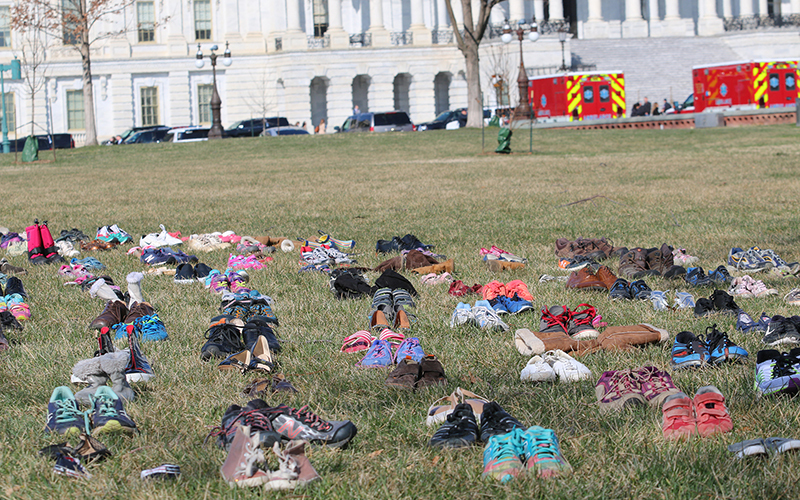 WASHINGTON – Thousands of shoes lined the lawn in front of the Capitol Tuesday, a display advocates said represented all the children killed by firearms since the shooting at Sandy Hook Elementary School six years ago. “We wanted to make the absent people present here,” said Oscar Soria, senior campaigner for Avaaz, the group that arranged 7,000 pairs of shoes. Organizers said the display was meant to let the dead join the living students who have scheduled a national walkout day Wednesday, the one-month anniversary of the Valentine’s Day shooting Marjory Stoneman Douglas High School. In that latest mass shooting, a 19-year-old former student opened fire in the Parkland, Florida, school, killing 17 and injuring 14 others. The walkouts also come the same day that the House is scheduled to vote on a bipartisan gun-control bill, one of many circulating in Washington in the wake of the Parkland attack. Those range from a bill by Sens. Jeff Flake, R-Arizona, and Dianne Feinstein, D-California, that would set 21 as the minimum age to buy a gun to a White House plan, rolled out Sunday evening, that includes “hardening security for schools” and tightening background checks on gun purchases. The bill being voted on Wednesday would provide funding for crisis training for school officials and local law enforcement, as well as funding for prevention measures in schools such as metal detectors and anonymous reporting systems. The STOP School Violence Act has 82 co-sponsors, including Reps. Martha McSally, R-Tucson, and Kyrsten Sinema, D-Phoenix. 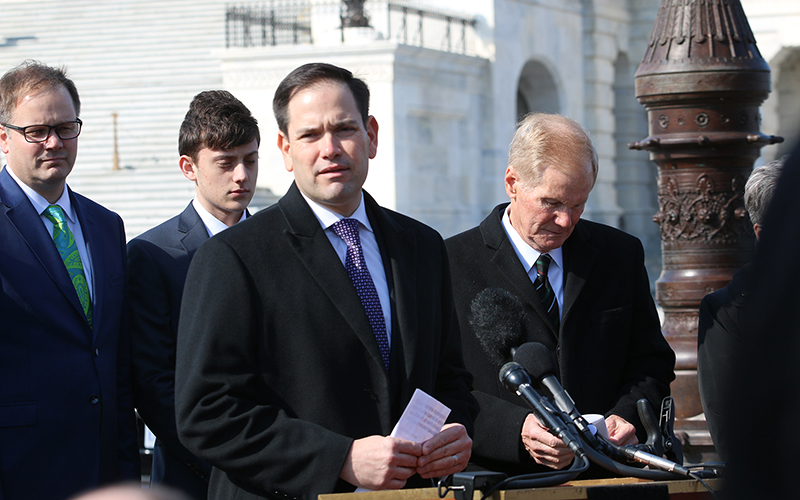 The bill would also train educators to recognize threats from individuals struggling from mental health issues, which Sen. Marco Rubio, R-Florida, called “the most important part” of gun reform in a news conference Tuesday. “If the law says someone under the age of 21 is too young to purchase a handgun, then it ought to say they’re too young to purchase an assault weapon,” Flake said in a statement when the bill was announced Feb. 28. President Donald Trump had expressed support for raising the age requirement in the weeks after Parkland, but that proposal was not part of the administration’s plan unveiled last weekend. 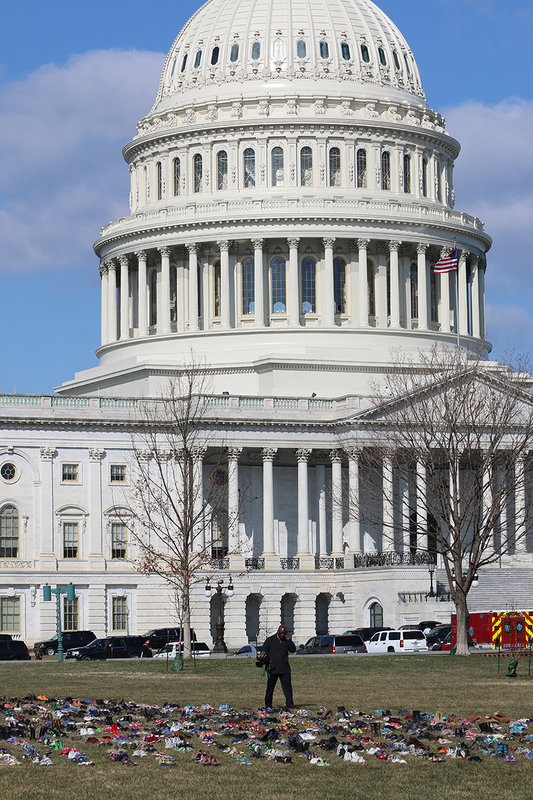 The president’s proposal also establishes a school violence prevention commission chaired by Education Secretary Betsy DeVos, as well as backing a bill that would strengthen background checks for gun buyers. While Soria said the display of empty shoes is meant to draw national attention to the need for gun control, advocates are also looking to Wednesday’s protests and other actions by students to compel change. “This is the Columbine generation. Their entire school experience has been overshadowed with school violence and mass shootings,” Hills said. “It’s not that we don’t have the ability to create change, it’s that we haven’t had the political will. Now we have kids who are calling out those adults in power, and we’re seeing some accountability,” she said. 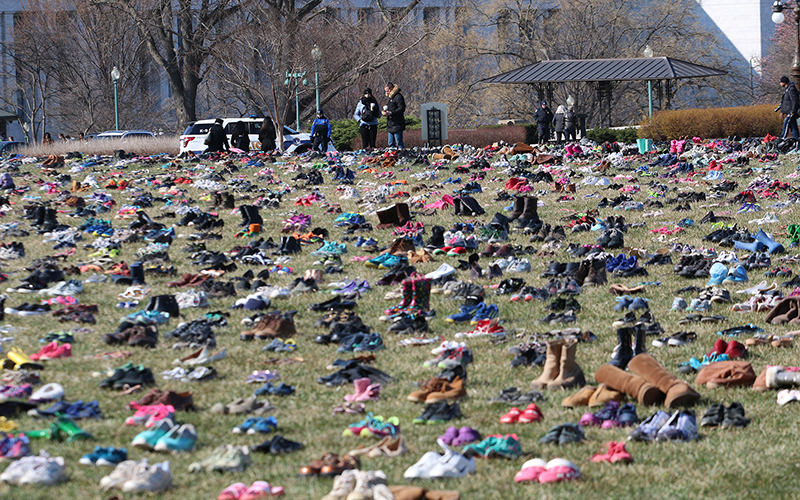 The 7,000 pairs of shoes displayed at the Capitol were meant to represent all children killed by a firearm – whether in-school or out, intentionally or accidentally – since Sandy Hook. Avaaz based the number on a study in the July journal Pediatrics which estimated that 1,297 children were killed by firearms every year from 2002 to 2014. Soria agrees the actions being taken by current school-age children across the country is the difference between now and six years ago, when little legislative action was achieved in the wake of Sandy Hook.